VALRICO May 23, 2016 -- Nigel Porter, Realtor at Signature Realty Associates has been selected for the 2016 Best of Valrico Award in the Real Estate Consultant category by the Valrico Award Program. Each year, the Valrico Award Program identifies companies that we believe have achieved exceptional marketing success in their local community and business category. These are local companies that enhance the positive image of small business through service to their customers and our community. These exceptional companies help make the Valrico area a great place to live, work and play. Various sources of information were gathered and analyzed to choose the winners in each category. The 2016 Valrico Award Program focuses on quality, not quantity. Winners are determined based on the information gathered both internally by the Valrico Award Program and data provided by third parties. The Valrico Award Program is an annual awards program honoring the achievements and accomplishments of local businesses throughout the Valrico area. Recognition is given to those companies that have shown the ability to use their best practices and implemented programs to generate competitive advantages and long-term value. The Valrico Award Program was established to recognize the best of local businesses in our community. Our organization works exclusively with local business owners, trade groups, professional associations and other business advertising and marketing groups. Our mission is to recognize the small business community's contributions to the U.S. economy. You need someone who knows this area inside and out! Whether you're looking for a home in Brandon, Valrico, Seffner, Apollo Beach, Ruskin, Lithia, Wesley Chapel or anywhere in the Tampa Bay area, Nigel can work with you to find the right home at the right price for you, including all the neighborhood amenities that matter - not to mention the essential criteria you have for your ideal home. And, there are no commission charges to buyers. When it's time to move, you need someone who will advertise your home, show to prospective buyers, negotiate the purchase contract, help you arrange financing, oversee the inspections, handle all necessary paperwork and supervise the closing. Nigel Porter can take care of everything you need, from start to close. Oftentimes buyers don't visualize living in your home the way you do. Nigel can help you make your home attractive to its ideal audience - which can help you get top dollar. Things like staging the home, making repairs or minor improvements, or even simply painting the walls can be the difference between a home resting on the market and one that's SOLD fast. "Nigel was a pleasure to work with. He is highly professional, honest and displays a high degree of social intelligence, which made our, otherwise difficult, transaction close successfully. I would highly recommend his real estate services." "Did a great job dealing with the intricacies and difficulties of a less than perfect purchasing environment (VA loan/Foreclosure). Knowledgeable, informative, and available in almost all aspects of the process." "Nigel Porter made the process of selling my home incredibly streamlined and uncomplicated. He was available every day to answer any questions I had and kept me updated on each step in the house selling process. As a realtor, Nigel really goes above and beyond to get you the best deal and make selling your house as painless as possible. I highly recommend him to anyone in the area looking to buy or sell a home." "Great guy and a better realtor! Nigel has represented multiple family members during our purchases over the years. Every time he helped us steer clear if issues, investigated properties, and approached the sales with tenacity when it came to a good deal. We are glad to have Nigel as a business partner... And in many ways as a part of our extended family." "The absolute best realtor experience we have ever had! We are a picky bunch and not the easiest to deal with, but Nigel answered all of our questions, eased our nerves, and helped us to find the perfect home!! He is extremely knowledgeable and a pleasure to work with! Will recommend him to everyone we know!" "I found Nigel after a long search for an agent to help us sell our rental home in Florida. We couldn't have made a better choice. We live in another state (military) and planned to sell the house long-distance. Nigel took such great care of us, we are forever thankful to him. He sent me periodical updates multiple months in advance pertaining to current sales in the area. The very same day my tenants moved out he took photos of the house (you should check the pictures in his listings, he can make magic happen with the camera) and the very next day the house was listed following the open house. We got the full price offer within the first week after the listing and the price was one of the highest per sq/ft in the area. Closing was fast and flawless - he walked us through every step of it. We are extremely happy. I strongly recommend Nigel. He can make the impossible happen. We plan to move back to Florida in the future and will most definitely contact him for buying our next house." "Nigel was extremely helpful in guiding us through a difficult short sale. His wealth of knowledge, patience, honesty and genuine kindness took much of the stress and unknown out of the process for us. We would happily use NIgel again for any future real estate transactions and would absolutely recommend him to family and friends." "Nigel was a delight to work with! His extreme patience and wealth of knowledge made my experience as a first time homebuyer very easy. He responded quickly to all communications, and ensured I always had listings to look at. Even after closing he kept in touch to help me find a team to prepare my home for move in. I intend on recommending him to any friends or family interested in purchasing." "Nigel is a genuine hard working man. He sold a previous house of ours and just helped us find and purchase our forever home. I have and will continue to recommend Nigel to anyone wanting to sell and/or purchase a home! It is hard to find caring genuine people in this world and Nigel is one person who cares and will work hard to help you find what makes you happy!" "I could not have asked for a better realtor. He was patient, professional, and very knowledgeable. He was very responsive to my needs and worked very diligently on my behalf. " "The buyer of my home had some financial challenges, and Nigel worked tirelessly to keep everything on track. One-by-one, he worked through the obstacles, until we eventually closed at a higher price than I expected. 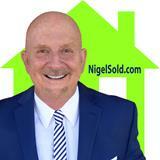 If you need a skilled, competent realtor, I recommend you call Nigel." "Nigel was a great realtor while helping my wife and me purchase a new home. He was patient and attentive. I'd recommend him to anyone buying or selling a home. " "Nigel was very knowledgeable and honest about every aspect of selling our house. He knew what to do in order to receive the most we could for it. He answered any questions I had in depth until I understood the process. He was very responsive to emails and texts/calls that I made to him. Next time I go to sell a house he will be the Realtor that I call. As soon as offers were made on the house, Nigel gave his honest opinion on them until we found a deal everyone was happy with. " "Nigel has the heart of a teacher. He will walk you through all of the confusing parts of the home selling/buying process and make sure you feel at ease with everything. He's got great insight thanks to his extensive real estate experience and it shows! Our home had multiple offers within ten days of listing and little stress. On a scale of 1 to 10, Nigel is an 11 in my opinion!" "My husband and I were looking to sell one of our rental homes. We reviewed Nigel Porters comments from past comments and we both were immediately impressed. When my husband died in May 2016 , Nigel was the first one to come to my mind to sell my home in Valrico, so I contacted him and he became my realtor. Selling one of our houses after he passed away was very sad for me and living such a long distance from Valrico could have made the process difficult and very complicated. Nigel handled everything from listing to the closing and made the process go smoothly. He found a person to fix up the house to put it in sale condition. He promptly answered any questions and with his knowledge guided me along with all the hoopla. I was very impressed with his professionalism and would not hesitate for a moment to refer anyone I know to him in both selling and buying capacities. Nigel greatly surpassed the selling experience for me. Nigel is priceless. " "Nigel is extremely personable, professional, and a joy to work with! He assisted us in finding the perfect home for our family. With his guidance and assistance, all went smoothly. We had a wonderful experience and would absolutely recommend him! " "Excellent realtor. Managed to sell my underwater home for much more than expected in a very short length of time. Was always professional. Answered emails and phone calls quickly. Was able to navigate us through all the bumps in process. Also very knowledgeable. Can't recommend enough! " "I recently sold my home with Nigel, while living in another state, and the experience could not have been smoother. He did a fantastic job generating interest and showing the home. He kept me informed during the entire process, suggested honest & reputable professionals when repairs were needed and was prompt to respond to calls/messages. I was thrilled with how quickly Nigel was able to sell the house! I highly recommend Nigel. He is a hardworking, detail-oriented professional who genuinely cares about doing the best for his clients." "You can tell that Nigel is well loved by the Tampa real-estate community, as nearly everyone we met, from builders to inspectors, title company representatives and loan officers greeted him gladly with compliments and stories. We worked with Nigel both to buy a new-construction home and sell our previous home. In both cases Nigel was honest, capable and well prepared. He made himself available very quickly whenever we needed help, and he helped us through a very difficult challenge when the new home we'd fallen in love with turned out to have a structural problem. He quickly negotiated an even better home at a substantial discount from the builder." "It was a pleasure working with Nigel. His follow up skills are excellent. He was very attentive to what we needed in a home. Once he found it he kept up with our purchase all the way till closing. Even after we closed and moved in he checked in on us to see how things were going. He really takes customer service to a whole new level. We look toward to working with Nigel in the near future." "Absolutely wonderful gentleman. Nigel helped me find and purchase my first home. He assisted in every aspect of my home buying experience and even gave me tips and heads up on things to expect before and during the entire loan and closing process so i would be prepared. Nigel is VERY knowledgeable in his field and I consider him an expert. He is now a friend for life and I will recommend him to anyone looking to buy/sell real estate. He definitely deserves more than 5 stars if the option was available. Thanks Nigel!!!" "I can't say enough about Nigel. My wife and I sold our home while I was living in another state. Not only did Nigel do a great job, but he was very responsive to my wife who was dealing with the home sale and maintenance on her own. Whenever something needed to be fixed, Nigel was always able to assist in locating a qualified person to address the issue. Although we now live in the southwest, I know that should we find our way back to the Tampa Bay area, Nigel will be one of the first people I contact." "If you are looking for The Ultimate Professional, then Nigel Porter is the real estate agent of choice. Nigel came highly recommended and sold our home quickly at the asking price of $339,900. Nigel was honest, responsive, knowledgable and meticulous at all times. If your serious about selling your home worry free, call Mr. Nigel Porter." "Nigel did a great job in selling our home. He walked us through every step of the way until closing so there were no surprises. Next time I will sell a home, I will call Nigel..."
"Occasionally during the course of your life you meet someone who really cares. They honestly want to do the best they possibly can for you. This is my experience with my realtor, Nigel Porter. Being in construction for my career I have worked with many, many realtors & quite honestly I have found them to be unprofessional, thinking of nothing but, “what’s in it for me”. That is not the experience I had with Nigel. I think he was more thrilled in my getting a great clean deal than my wife & I. He is genuinely concerned about his clients. He did a great job for us & I will recommend him without hesitation." "Due to relocation for work, we contacted Nigel to sell our house. During the initial meeting, he told us that our house would sell and it would sell quickly. The following weekend, we had numerous offers and just recently closed on the sale. Nigel was readily available if I had questions and the advice he offered was always helpful. We would definitely recommend him!" "Nigel seems to be on call 24 hours a day, 7 days a week. He was always keeping an eye out for what's best for you, and at the ready. He helped us find our first home, we got a great price for the house. Being young and away from home and not familiar with the area, we were very scared, but Nigel does the work for you. We love our home so much and are so thankful that Nigel got us in quick, because he knew what a great match the home was for us. He ticks all the boxes of your requests, (within reason of course) and doesn't waste your time or his. Very professional and easy to talk to. My husband and I, highly recommend Nigel Porter for first time home buyers, as our experience with him was like shopping with a parent, someone whom you know you can trust and explains all that you don't understand. He will always be our realtor for any future real estate purchases." "Nigel recently helped me with a short sale on my condo. Since this was my first property, I knew nothing about how to list it or even sell it. Nigel talked me through the entire process and was realistic and honest and explained what to expect. Throughout the entire process, Nigel communicated with me anytime there was an offer or a showing. I never had to "hunt" him down, he was always available 24/7. He was able to do the showings on my terms and since I work full time; I greatly appreciated his thoughtfulness. Nigel was very dedicated to helping me sell my condo. Within a month after listing the condo, Nigel was able to help me sell it. He negotiated a very fair deal for me (over asking price) and even went so far as to put me in contact with a phenomenal real estate attorney to help negotiate the short sale with my lender. What made such an impression with me was that Nigel really went above and beyond to help me sell my property. It is such a relief when you know your agent does e"
"I have been very happy with the level of service and expertise that I received while working with Mr. Porter. He listened carefully to my requirements and only showed me properties that fit my needs, saving me much time. His all around real estate knowledge and professionalism proved to be invaluable in my search for a new Florida home." "I was a first-time home buyer who was fortunate enough to get in contact with Nigel. Without a doubt, he made a huge difference. I am someone that takes my time to decide and figure out what I want, and I can't imagine someone being more patient than Nigel was unless they just don't care. And Nigel isn't the kind not to care. He's attentive to what you want, responsive to what you need, and always willing to offer that extra insight that makes a difference. Top marks across the board!" "Nigel is a pleasure to work with. He is very helpful and caring. He goes above and beyond all expectations and is friendly and professional. He made the process easy and I will be a repeat customer." "The sale of our home went very smoothly and quickly. He came right away and gave us an approximation of what the sale amount could likely be given the current market conditions. Nigel answered the phone almost every single phone call ( I called quite a bit) if he did not answer there was an immediate call return. While a number of stressors are involved in any home selling or buying process, Nigel made the process as painless as possible"
"Its no doubt, finding the right home in today's market isn't easy. Finding the right home takes time. It was refreshing to have a real estate agent who took the time to find not only what I needed but what i wanted. He found me great options to fit my criteria. With patience and persistance we were able to find the home I have always wanted. I would highly recommend Nigel Porter to anyone in the market for a new home!"